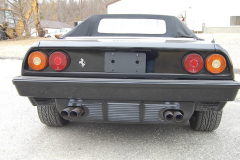 1985 Ferrari Mondial Cab Black with a Tan interior. Nice paint, great running car.16 inch wheels which are much better than the metrics that are usually fitted to these cars. My personal driver for several years, just wonderful on the road. 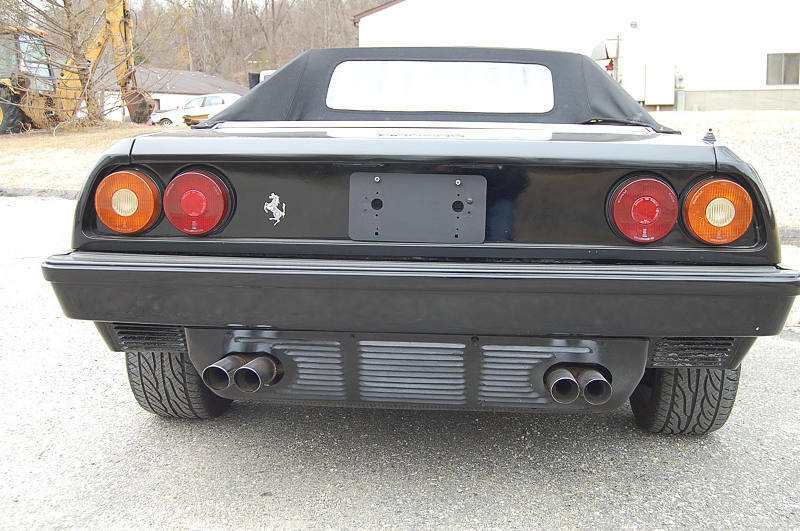 The best color for a 3.0 Mondial since the bumpers are black from the factory, the black paint lets them blend right in. Several flaws on the interior but usable as is, this car really screams, probably one of the strongest running Mondials I have ever had.